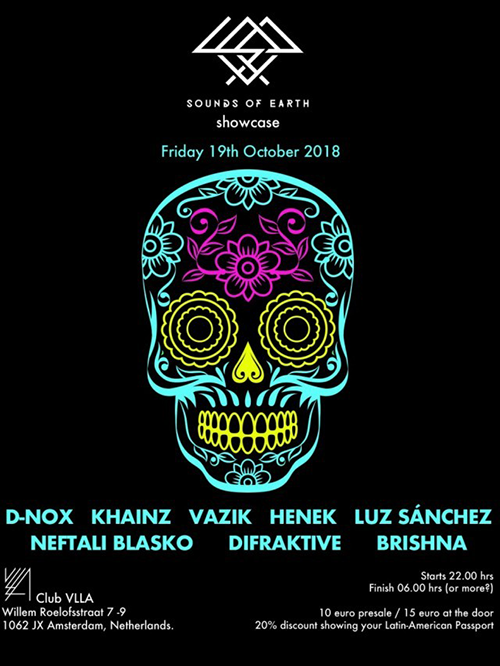 Sounds of Earth is making their Amsterdam Dance Event debut with a spicy party at VLLA. D-Nox, Khainz, Vazik and more will fill the floor with melodic underground music. Join us for some tequila and a non-stop dancing night.